Nevertheless, one of the few outsiders to have penetrated the so-called hermit kingdom of the North is an 81-year-old Catholic priest from West Philadelphia. 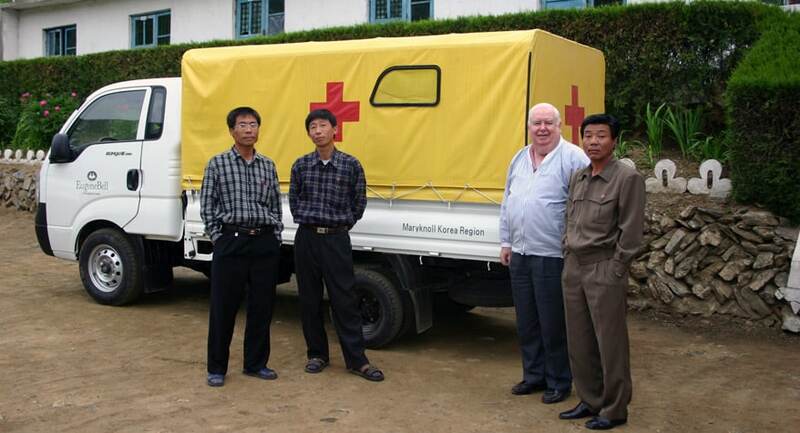 Maryknoll Father Gerard Hammond, 81, who has lived in South Korea since 1960, first crossed over into the North in 1995 and since then has made 51 trips. During Pope Francis’ Aug. 14-18 visit to South Korea, the pope met Father Hammond and personally thanked him for his work in the North. Father Hammond says he goes there as an “apostle of peace, an apostle of hope” — not to evangelize directly, which the government would not allow, but to bring humanitarian assistance. That assistance came first in the form of food aid; more recently, in the form of medicines for people with multi-drug-resistant tuberculosis. The government admits Father Hammond and his colleagues, Catholic and Protestant missionaries supported by the U.S.-based Eugene Bell Foundation, “because we’re putting people back into the working force,” he said. They have cured more than 70 percent of their patients, he said, compared with a worldwide cure rate of only 48 percent. The soft-spoken priest describes the moment of taking a sputum sample from a tuberculosis patient in almost sacramental terms. Despite this sort of intimacy, Father Hammond says conversations with patients are highly restricted, and never take place out of earshot of government minders. He says he never talks about religion or politics unless asked, and almost never is. Father Hammond is not naive about obstacles to Korean reunification; he speaks in terms of cold-eyed realism about the strategic and economic interests he says make the status quo preferable not only to North Korea but also to China, Russia, Japan and the U.S. Yet he has faith that his efforts are helping promote peace and reconciliation between North and South. 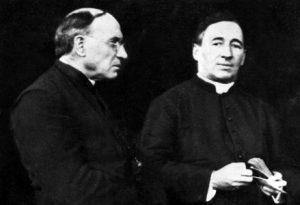 The priest says his visits to the North are also pilgrimages to venerate Catholics killed there over the years, including his Maryknoll confrere Bishop Patrick Byrne, who died in 1950 as a prisoner of the communists during the Korean War. Today, South Korea is the world’s 13th-largest economy, with a per capita gross domestic product almost 20 times as large as the North’s. Since the late 1980s, thanks to a political movement in which the Catholic Church played a prominent role, the formerly authoritarian South has also enjoyed a democratically elected government. Yet prosperity has brought it own woes, the missionary says, which Pope Francis addressed during his visit with repeated calls to help the needy. **Father Hammond actually is Maryknoll’s district superior in Korea.